During a recent interview on What Happens Live With Andy Cohen, Academy Award-winning actress Anne Hathaway confirmed that a script for Princess Diaries 3 is completed and exists. Hathaway added that she, Julie Andrews and producer Debra Martin Chase are all eager to participate in the project but that no one is ready to pull the trigger on the project until everything is perfect. Set in San Francisco, The Princess Diaries follows the story of an awkward and unpopular high school girl named Mia Thermopolis. Her normal life completely changes when she finally meets her paternal grandmother, Queen Clarisse Renaldi (Andrews), who tells her that she’s a princess and the sole heir to a small European kingdom called Genovia. The first film premiered in 2001 and grossed over $165 million worldwide, becoming one of the most iconic teen comedies of the 2000s while launching Hathaway into stardom. 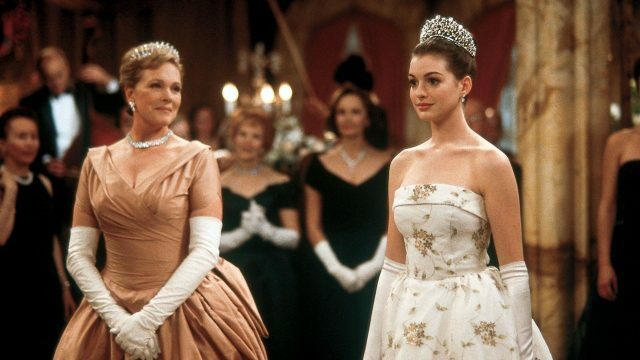 In 2004, its sequel The Princess Diaries 2: Royal Engagement, was released, which made over $134 million worldwide. It focused on Mia’s transition to becoming the Queen of Genovia, made difficult by the country’s traditional laws. Chris Pine also appeared in the sequel, marking his feature film debut. The post Anne Hathaway Says Princess Diaries 3 is Still in the Works appeared first on ComingSoon.net.